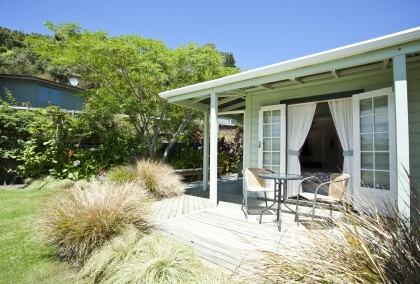 The Cottage comfortably sleeps 2 people but can accommodate 3 using a pull-out bed. The largest our our 4 units, great for the family or if you just like a bit more room. Large studio room with Kitchette and Dining Room, very quiet and relaxing. Cozy little studio room suits 1 to 3 people. If you are looking for accommodation Collingwood then one of the nicest motels around surely has to be here at The Station House Motel. 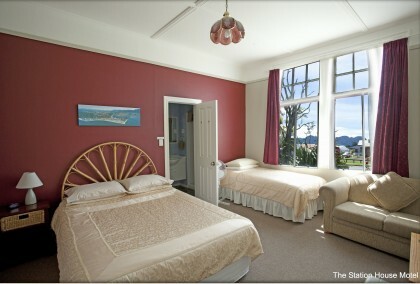 Collingwood is in the heart of Golden Bay and the Station House Motel is a truly magical place to relax and unwind. 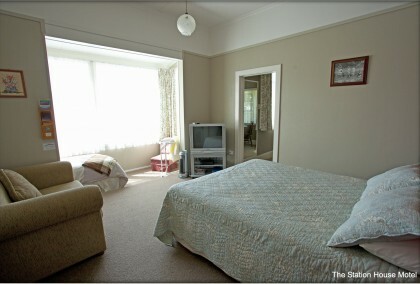 For accommodation in Golden Bay and accommodation Collingwood The Station House Motel certainly ranks amongst the best. It is clean, comfortable and super friendly. The Free WIFI is unlimited, not capped like alot of Motels in Golden Bay that offer free wifi. We have been operating since 2010 and have only had one upset guest, the reason being it was way too quiet and he couldnt sleep. We have the best rates around and we always get guests returning to stay with us from all over the world. Farewell Spit Tours depart from across the street. You are welcome to leave your car right here at The Station House Motel and walk just 30 seconds to board the big red bus. 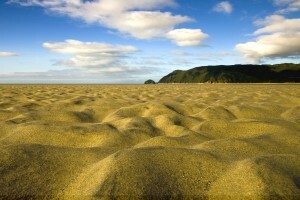 We can offer cheaper rates for a Farewell Spit Tour when you book a Farewell Spit tour with The Station House Motel. The CourtHouse Cafe is right across the street and is a great place for some of the best coffee in Golden Bay. Their oven baked gourmet pizza is a big hit with the locals and tourists. You have to be quick as they make there own pizza bases so there is only so many pizzas that can be make in the evenings and they often sell out. Pizzas are served every evening in Summer except Sundays and served Saturday nights only in Winter. Enjoy a relaxing stay at The Station House Motel. Collingwoods most charming little motel, originally the old Police Station in Golden Bay, NZ. 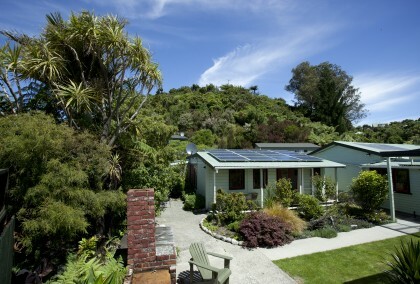 •	Self-contained cottages in a garden setting available. •	We offer FREE WI-FI for your entire stay. •	Farewell Spit Discount when you book The Farewell Spit Tour at The Station House Motel you receive $10 off one night accommodation. •	30 seconds from Farewell Spit Tours. •	Transport to and from The Heaphy Track is available. •	Located right next door to Farewell Spit Tour departures and The Court House Café, for great coffee, meals and snacks. • We have alot of people stay here while on a photographic expedition of Golden Bay. Wharariki Beach and Farewell Spit are great places to catch a sunset and to catch a glimpse of the great variety of birdlife.